The Pride Cup is building local advocates for LGBTI inclusion in sport. 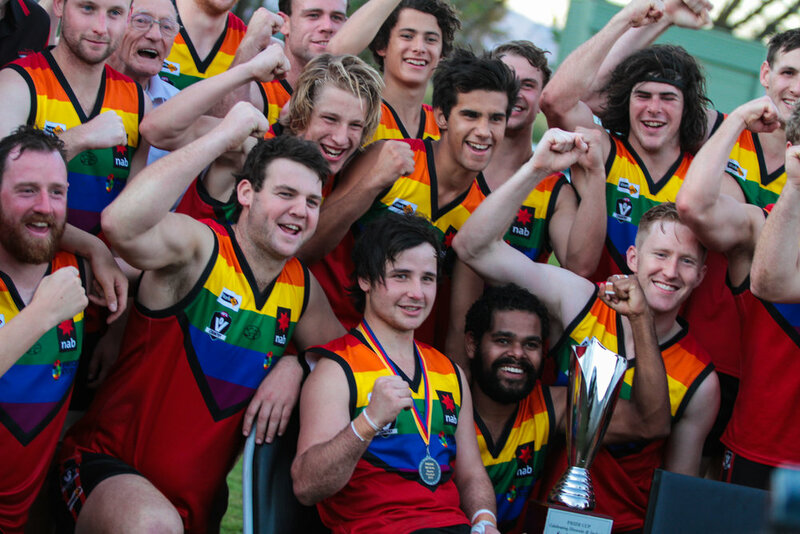 The Cup utilises the power of local football clubs to bring together disparate regional communities to celebrate diversity and promote inclusion for LGBTI people. The centrepiece of a Pride Cup is a local football match themed around LGBTI inclusion – creating ripple effects throughout local communities. Original Power is an Aboriginal and Torres Strait Islander led organisation who provide resources for communities and campaigns to stand up against fossil fuel extraction and mining in their local communities. Original Power aims to build the power of their people, increasing the effectiveness of their campaigns and developing ideas and networks for self-determined solutions. There are more renters in Australia than ever before - many of whom will rent for the rest of their lives. However, the current emphasis tends to be on the property rights of landlords instead of the right to a dignified home for renting families. Better Renting is a community of renters working together for stable, affordable, and liveable homes. Rainbow Families provide its community of LGBTQI families with access to programs, opportunities for social connection, advocacy support and educational opportunities. They tackle issues affecting their community with bravery, pride and respect, and strive to ensure their community has access to the resources, education and support needed to ensure resilient, loving, vibrant families. The Australian Unemployed Workers Union (AUWU) provides support for unemployed people who have difficulty navigating the increasingly complex and punitive welfare system. They run a phone and email support service, and advocacy campaigns to amplify the voices of unemployed people and put pressure on MPs to represent their interests. Seniors may not be a single homogenous movement, but their sheer diversity and size provides an unrivalled opportunity to influence policy outcomes through activation across the electoral cycle. In addition to an online community, 1 in 3 voters will develop, train, support and deploy a team of ‘MP liaisons’ to maximise the effectiveness of the project’s dialogue and action. Democracy in Colour is Australia’s first national racial justice advocacy organisation led by people of colour. They run campaigns to tackle structural racism; hold political, cultural and corporate leaders to account on the things they say and do on race; and strengthen the political voice of people of colour.